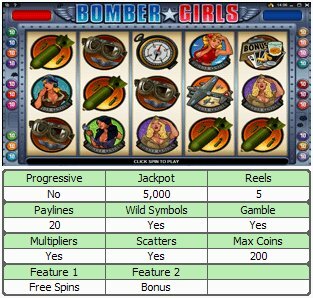 Overview: Live for the moment and get ready for mile-high rewards with the beauties that dominated the Fighting Forties with deadly missiles and expert aerial maneuvers. 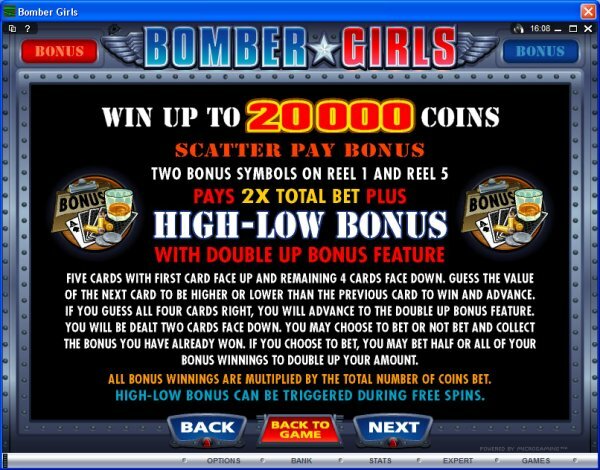 Rev your engines with brilliantly executed graphics, great sound effects and a range of exciting features that include Wilds, Scatters, a maximum of 14 Free Spins with up to 3x Multiplier, and a new High-Low card game with a further High-Low Gamble option. 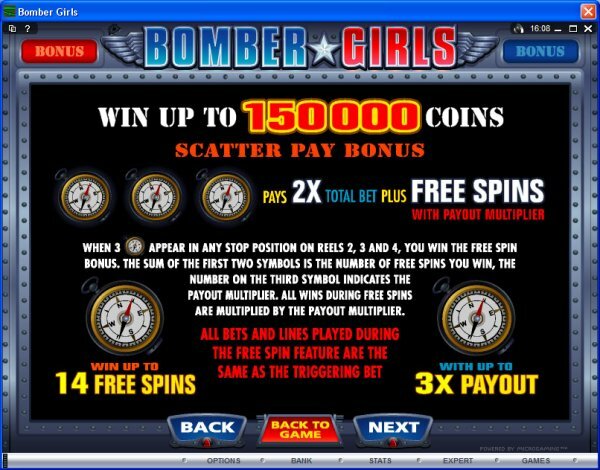 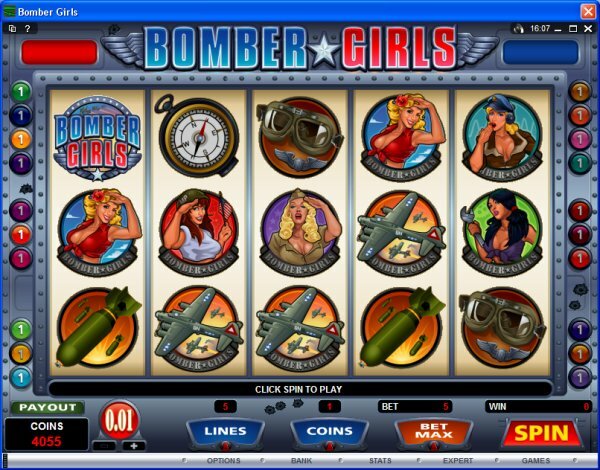 Similar Slots: If you like Bomber Girls, you might like these other 5-reel slot machines: Bars and Stripes, Dolphin Tale, Good to Go, Jonny Specter, Little Chief Big Cash, TallyHo.